Tasmania is blessed with wildlife you won't find elsewhere on the planet. The iconic Tasmanian devil is a much loved mate of ours and well worth meeting - you can also learn about the plight of the devils and find out how you can help. But it's not just devils we have here, our wildlife friends range from wallabies, to spotted quolls, to wombats, to so many more. And there's plenty of great places to view them. They can't wait to meet you. 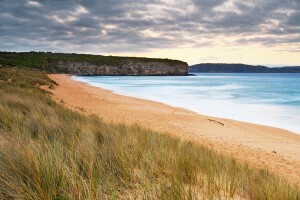 Thirty minutes’ drive from Hobart CBD, Bonorong Wildlife Sanctuary is run to protect and assist Tasmania’s wildlife. Join a public tour or stroll through the sanctuary at your own pace. 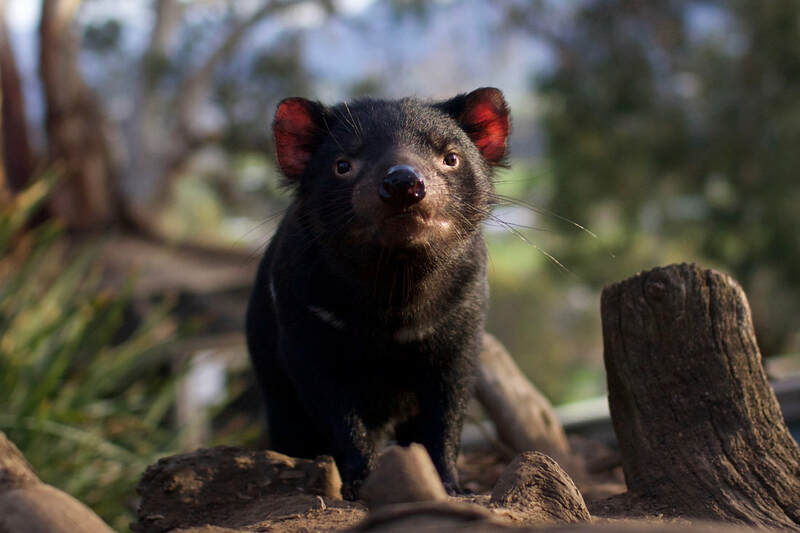 By visiting you are directly assisting their projects to conserve, rescue and rehabilitate wildlife including the Tasmanian devil and eastern quoll. They have a 24/7 wildlife rescue service, so if you find an injured or orphaned animal in Tasmania call Bonorong day or night for assistance. The Bruny Island Long Weekend is a luxury three-day guided food, wine and walking tour featuring spectacular coastal scenery, extraordinary wildlife and amazing food. Guests will discover how to harvest local oysters, spot nocturnal wildlife including rare quolls and pademelons, visit a local cheese producer and venture into the Southern Ocean to spot dolphins, whales, and a huge fur seal colony. The weekend accommodates up to a maximum of eight people. Accommodation is in a luxurious forest camp and includes dinner prepared by the guides as guests sip on Tasmanian wine around a roaring camp fire. The island is accessed by high speed catamaran from the Hobart waterfront and guests return by seaplane. 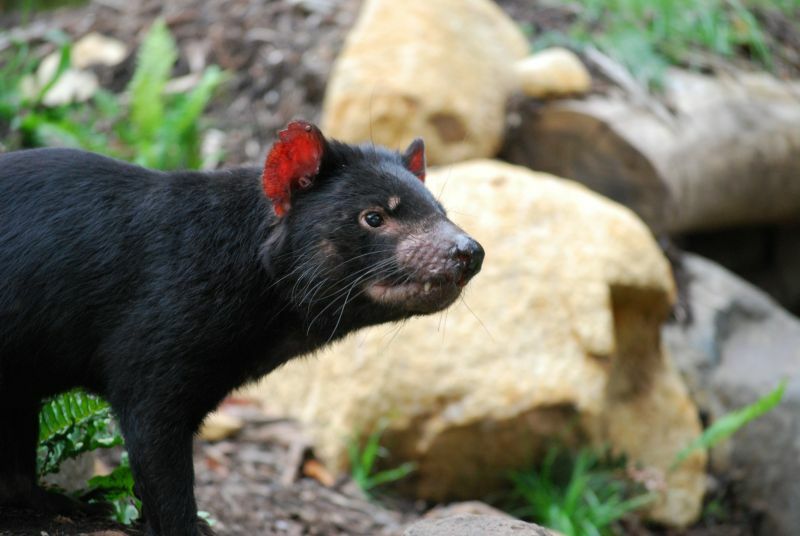 Come face to face with real live Tasmanian devils at this state-of-the-art Tasmanian Devil Conservation Park. It is the world's original Tasmanian devil visitor centre. You'll see devils feeding - six times a day - snarling and doing what they do best, crushing up bones and generally being devilish. See the famous dive of the falcon in 'Kings of the Wind' ™ Tasmania's only free-flight presentation. You'll also see friendly little parrots play some unusual tricks and discover how birds can recognize colours. Hand feed friendly kangaroos, walk among friendly wallabies, take a wildlife walk to see eagles and rare hawks and meet quaint little quolls, the devils first cousins. For a uniquely interactive animal experience visit Zoodoo Wildlife Park, located just 6 kilometres from the historic town of Richmond. Zoodoo has a large range of native Australian, exotic and agricultural animals. Zoodoo has Tasmania’s only Safari Bus Tour, the safari tour is an exciting animal experience with larger exotic animals. 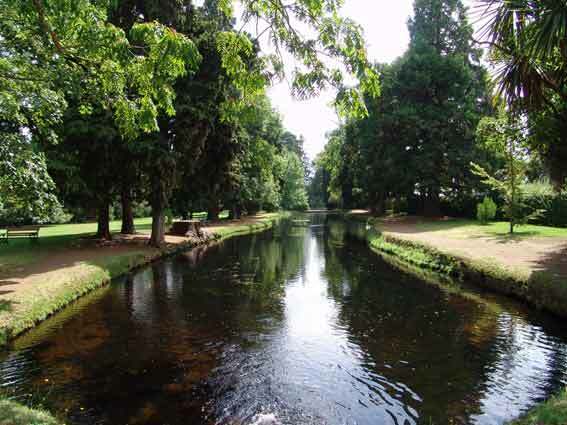 There is also an Australian Native Park with species such as wombats, gliders, possums, quolls and Tasmanian devils. Tasmanian devil feeding and information sessions are run daily. 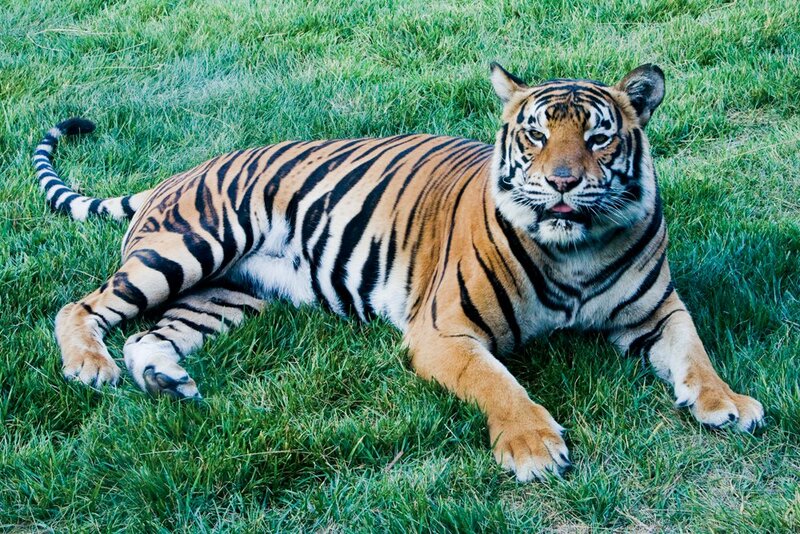 Big cat keepers give daily presentations on Tasmania’s only Bengal tigers and our rare African white lions.